Let Shelby take you on an adventure! This is truly wonderful reading. Author Lawrie has created a magical world of nature, one that is sure to enchant any child. And there’s enough humour to entertain the parents, too. If my children were a little younger, I’d be pleased to introduce them to the adventures of Shelby F. Squirrel and friends. Our hero, a flying squirrel with a nervous hiccup and a knack for getting himself into mischief, glides from story to story, charming his way into the hearts of those he meets on the way. His ingenuity amuses, and the goodness of his heart – along with the lessons taught by his mother – provide the moral lessons. The book is well-written, with just enough advanced words to educate without flummoxing. Extremely impressive work all-round. This fantastic children’s book shares twenty-four fun and valuable adventures of Shelby F. Squirrel, who is the main character. These humorous and imaginative episodes inspire learning and make reading fun and lively for a bright youthful audience who is unafraid to journey with a furry, fast, and flying playful creature! Firstly, we must note how the stories include important lessons that are excellent for children and young people (especially our children audience who absolutely loved the book!). This concept is extremely important to consider when writing children’s literature, because in doing so, the reader(s) can successfully benefit from the best of both worlds, which usually involves both intellect and entertainment. Moreover, this is a book in which readers can actively get involved, as most episodes provoke meaningful relevant questions and incite a variety of common core values, morals, & principles distinct to humans, that are identifiable and also relatable to the masses. We were really surprised to find the that the creative storyline taught us a lot about squirrels, both indirectly and directly. And Shelby’s no ordinary squirrel, nope! He is a nocturnal flying squirrel who has the power to glide high in the sky, and he’s not alone. It is him, his twin sister, Darby, and their mother who takes care of them and does her best to keep them out of trouble. But Shelby’s adventures are not merely limited to only the forest. The stories of his life are packed with energizing animation and lots of unexpected fun! They cleverly include realistic depictions of emotions, portraying instances of bravery, happiness, curiosity, wonder, love, innocence, happiness, worry, and even fear, like in the story “Shelby In The Dark”. Now, it’s time for Mother F. Squirrel to teach another lesson, and this time, it’s a flying one! But when she tells Shelby that it is time for him to learn how to fly in the night under the full moon, he is finally forced to confront his hidden fear of ‘the dark’. Nonetheless, while he is up in the tree resisting the urge to fly, he suddenly comes face-to-face with a Wise Old Owl (with very strange eyes!) who tells Shelby that he can fly and that he can see in the dark. It is an exciting moment when this happens and you feel proud for Shelby. The story about his night flying lesson teaches young people to believe in themselves and to be brave when facing fears. 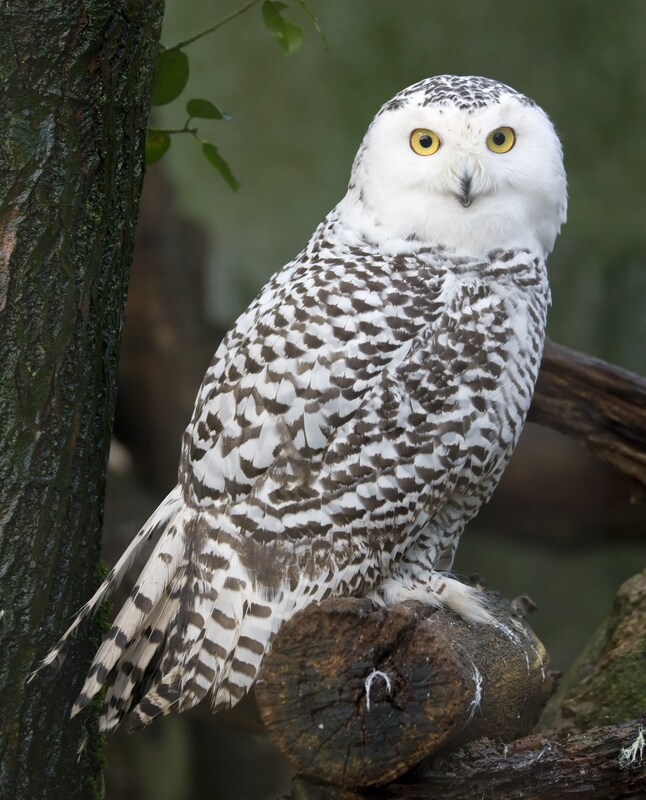 It also shows how some people (or creatures, like the wise owl) appear in your life to help you overcome certain problems that seem really big at first, but are actually not so bad once confronted. We were all happy that Shelby met the old wise owl and was finally able to fly in the dark! Did you know that awesome flying squirrels like Shelby go to school? We sure didn’t before reading this book – and before you gasp in disbelief, it turns out that Shelby isn’t the actual student in this episode. Instead, he ends up right in the middle of some schoolchildren after wandering off to follow the aroma of peanuts. And after eating too many he falls asleep, only to wake up bewildered and lost, distracted by the sound of children’s voices. This is the moment when we realize why the name of this episode is “Shelby Goes to School”. His wild chase for peanuts had led him straight to a school where he is surrounded by young children. What an adventure! Luckily, a nice crossing-guard finds him and leads him back to the forest where he is relieved to see his mother and sister again. The key lesson in this story is important to all children: always pay attention to your surroundings and be cautious of wandering too far from home, especially without your parents! When we read the title “ Shelby Goes Camping”, we thought it was a bit funny since he and his family already lived in the forest. After reading the adventures Shelby has had so far, it is safe to say that he will have a lot of fun…or get into a really big mess! And sure enough, a mess it is! He meets a new friend, Marvin F. Mouse, who takes Shelby on a tour, showing him all of the ‘human’ stuff used for camping. Everything is smooth and dandy until the mouse convinces Shelby to enjoy some of the sweet oats from the humans’ food, and when Shelby does, the bag tumbles over, causing humans to walk right over to where they are – but thanks to speed and Shelby’s ability to fly, they make a clean and successful getaway! Shelby gets into a lot of trouble, as you can see, but is awesomely fun! Above all, the author cleverly implements key concepts that instill and reiterate traditional core values to help distinguish right from wrong, magnify family and friendship, and explore the depths of fun and adventure. Author Eleanor Lawrie’s collection of Shelby adventures is truly a classic and should be a television series, as it would be very successful! It is a great book for families, children, and even adults, if you enjoy reading animated children’s fiction! Through intense energy and vivid imagination, author Lawrie skillfully illustrates a series of episodes that provide an exceptional reading experience every single time you turn the page; and with refreshing detailed accounts of Shelby’s extraordinary life, you will never grow bored and will easily grow attached to Shelby, his family, and friends! It is our honor to present this book with a 5 Star rating! Author Eleanor Lawrie knows how to tailor a story just for children. At Realistic Poetry International, we believe that there is no better way to receive pure honest feedback other than obtaining real thoughts, opinions, and feedback from the actual source, which this book was specifically intended for, children. With that being said, the basis of this review was developed and written with the inclusion of direct feedback and thoughts originating from a small group of children, ages ranging from 8-10 years old. NOW at new LOWER prices! New release in July, 2016. Excellent reading material for 8 to 11 year-olds, the book is 72 pages with 11 chapters. All the forest and farm animals become more united than ever to defend their homes from a terrible fate. What a wonderful heart-warming sequel to the original ‘Complete Adventures of Shelby F. Squirrel and Friends’ by talented new writer Eleanor Lawrie. Fast-paced and humorous, the story holds the reader’s attention from the first page. Without a hint of moralizing it shows how the characters from diverse backgrounds, when they combine their different talents, can achieve a goal that at the beginning seems elusive. Including the contributions of the ‘outsiders’ – the skunks- teaches a valuable lesson. I have just finished reading your delightful second story about Shelby. I think it’s a winner!! I really like how the plot moves along with lots of interest and suspense. I also appreciate how much you include information about animal life, habits, and habitat. It would make a good classroom novel that a teacher could share, a chapter a day, with the students. There is so much to discuss and so many great ideas for further research. The Complete Adventures of Shelby F. Squirrel and Friends: Shelby’s Flying Lesson tells the story of a young male squirrel named Shelby who has finally reached the age where he and his twin sister Darby are old enough to leave their tree and explore the ground below. As their mother prepares them for this escapade, she informs them that the F. in their name stands for Flying, as they are special squirrels who have the ability to take flight. This very idea frightens Shelby, as he doesn’t believe he would ever be able to fly as his mother claims. He races out of the tree, ignoring his mother’s plea that he never go down to the ground alone, and soon enough he is in a big heap of trouble. A menacing dog backs Shelby in a corner so that he has to run away, he ends up accidentally getting trapped inside of a large building with lots of people walking around. Before he knows it he’s in an elevator riding it up to a higher floor. All Shelby wants to do is return to his family. When he sees an open window and a tree below, without even thinking he takes his chance, flying out of the building by using his natural abilities, returning to his mother and sister and telling them that he will listen to the rules from this point forward. The stories of Shelby F. Squirrel are well written, with excellent themes of friendship, family, independence, cooperation, growth and learning, as well as a wonderful overriding focus on nature and the environment. In my class I have been able to link the collection with my curriculum goals in literacy. The stories are fun, informative, full of strong values and have a certain timeless quality about them, and will be part of my classroom library for years to come. I just thought I’d let you know how much the boys, particularly the eight-year-old, enjoyed Shelby. Boys can be very noisy and it was good having them absorbed in Shelby and being quiet! What a delightful read! Shelby is a very curious and adventurous Flying Squirrel, always exploring the world around him, and facing the consequences of not listening to his mother’s instructions. A series of engaging stories to be told to youngsters, and a learning and fun-filled experience for early readers, in a compact, easy to handle and well-illustrated format. This would be an excellent addition to school libraries, Kindergarten through Grade 6, promoting class discussion amongst students as they learn about the animal world, its habitats and interaction within our communities. I am proud to have known Shelby from his ‘birth’. Congratulations to Eleanor Lawrie on the release of this wonderful and much needed book, “The Adventures of Shelby F. Squirrel and Friends”. I am convinced this book can serve as a great tool for today’s children and their parents, in the aim to instill or revive in young minds, the thrill and excitement that ever exist in the outdoor world where so much real knowledge and experience await our discovery, and what better way to embark on this journey than through the eyes of the adorable flying squirrel, Shelby. I await more! Good Luck! I loved your Shelby Stories and was thinking they would make a great read-aloud for the primary grades. They could also tie in with the curriculum unit on animals and rural life. The length is perfect for one class visit to the library or they could be read by the classroom teacher during the language block. The Shelby stories captivate the reader right from the start, each story is complete within itself, allowing for a good sense of reader satisfaction and story closure each time. Shelby fits into many curriculum areas: natural science, family values, writing skills. I highly recommend this wonderful collection of Shelby adventures, and know they would be wonderfully received by teachers, parents and students alike. Stories are artfully told, and sensitively address things that children can relate to, Shelby’s self-awareness, confidences, successes, listening (or not!) to his mother. Each imaginative setting has a different lesson learned, and Shelby emerges with new-found friends, skills and experiences. …..will be an asset to many teachers and provide much reading fun for all involved. This delightful collection of stories about Shelby and his family is well written and each story is as cute as a bug’s ear! I especially loved the story of Shelby and his family moving to a new forest. I’d recommend this collection of stories for children of all ages but especially little ones who love animals and a good story. Whether the child can read or likes to be read to, these animal tales will be an entertaining addition to your library. As an educator and a parent I enjoyed this sweet example of children’s literature. The story is a coming-of-age perspective on the life and adventures of a young flying squirrel named Shelby. Shelby begins the story as a very young animal who is just understanding what it means to leave his tiny home and venture out into the large world around him. He has to learn how to use his new found ability to glide. Unlike his sibling, Darby, Shelby tends to find mischief as he tried to understand his place in the world. The author does a nice job of incorporating real world challenges to animals such as deforestation and human neighbors. The role of nearby animals is also an interesting element to factor in as the young squirrel moves toward adult hood and learns what it takes to survive. I particularly enjoyed the squirrels first perceptions of snow! I would recommend this book to children who enjoy nature, or to teachers and parents who would like to point out the premiss of animal adaptation to young people. This book is a delight for children and adults alike. From Shelby learning to fly in Chapter 1 to his moving day and all that brings, each chapter is sure to entertain. Each chapter is truly a new adventure – all in one book. This would be an excellent book to read to children each night at bedtime. We get to know Shelby as a friend right away because we want him to be safe but as an adventurous guy, he gets into scrapes but always comes out okay and we are relieved. This would make a wonderful gift to a child for a special occasion or for no occasion at all to encourage children to read more often.